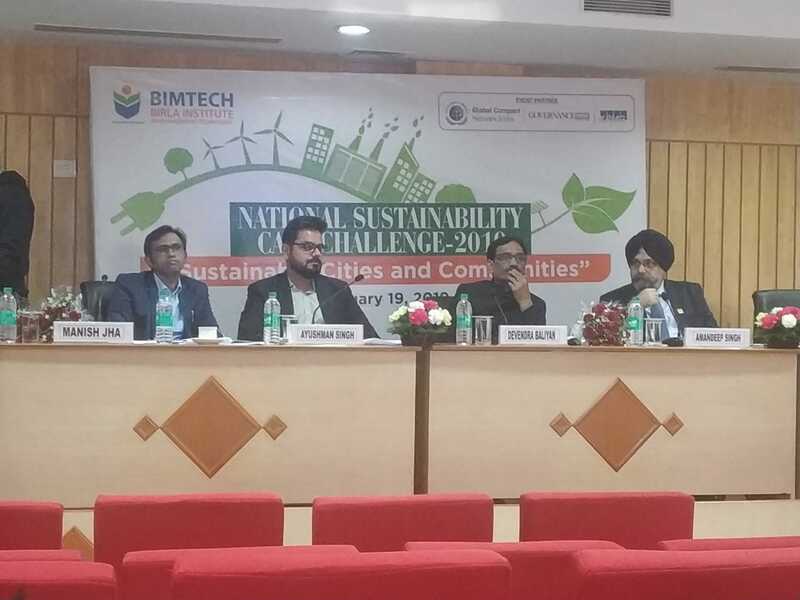 Greater NOIDA : Birla Institute of Management Technology, Greater Noida,one of the top B-schools, organised the National Sustainability Case Challenge (NSCC) 2019 on 19th January 2019 for the students pursuing graduation. The theme of case challenge event this year was “Sustainable Cities & Communities”. The event aims at inculcating responsible behaviour, critical thinking and creative mind-sets among millennial. It is organised in collaboration with KPMG, United Nations Global Compact Network India and Governance Now. The event received 436 registrations in the first round out of which 5 registrations were from Nepal. Out of 44 teams shortlisted for the final round, one was from Nepal. The undergraduate students from IITs, NIITs, BITS & several other prominent universities have participated in the event this year. The day started with welcome note given by Dr. Archana Shrivastava, Head- Business Communication area followed by a presentation by Mr Anshuman Shrivastava, Manager-Admission Department. The winners of the NSCC 2019 were Vipul Chandra and Raghav Bagri from IIT BHU. First runner-ups were team from IIT Kharagpur consisting of Rohit Nayar and Niranjan Mishra, and team from BITS Pilaniconsisting of Siddhant Jain and Puneet Gupta. Second runner-ups were team from BITS Hyderabad consisting of Manas Bansal and Aakruti Jain and team from NIFTEM consisting of Saket Shrivastava and Syed NavedulHaryat.